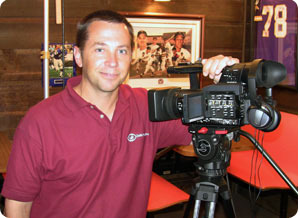 Originally from Jasper, MN, I have been a video production specialist for nearly 20 years in the Greater Mankato Area. I have been recognized as a leader in my field through award-winning productions on a local and regional basis. With a passion for videography, I bring a solution-oriented mindset to work every day. I’m married to my lovely wife, Mary Kay, and blessed with 3 beautiful children. 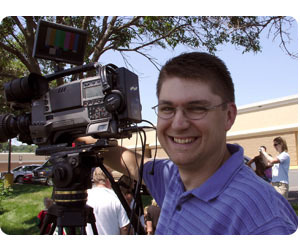 I have worked in the Rochester, MN, market as a video production professional for my entire career, focusing on innovation, new technology and excellence. I have been honored with numerous awards and accolades for several video productions. I’m married to my beautiful wife, Heidi, and have two wonderful children. I occupy too much of my time following Iowa State University, enjoying comic books, and going to movies.